Coping with Disruptive Change: The Britannica Way | Fourth Dimension Inc. Rapid change is an undeniable feature of our contemporary society, especially, in the corporate world. And with the advent of technology, change has become not only fast but disruptive with every new technology becoming rapidly obsolete within year or sometimes in a few months. 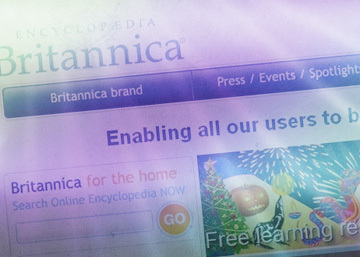 An old institution, dating back to a few centuries, with a venerable, highly respected product, Encyclopedia Britannica, was faced with such a disruptive change and was in the urge of getting wiped out. But its present CEO, Jorge Cauz confronted the change with creative stewardship and steered the institution towards a position of rejuvenated leadership in the education industry. How he did it contains important lessons for all leaders in managing change. Iconic brand; digital threat; saving strategy; integral view. Later Encyclopedia made a successful foray to reach out to a larger audience through a 2000 plus, door to door sales force, selling multi-volume encyclopedias to families and homes. This print version was doing very good business. In 1990, the sales peaked to more than 100,000 units in United States. With the advent of the electronic age, leaders of Encyclopedia made some foresighted attempt to attune their institution to the new change. In the 1970s they put the entire content of the encyclopedia into a mainframe computer to make the process more efficient and streamlined. Later, as the digital technology broke in, they made some preparatory attempts by experimenting with the first electronic encyclopedia. Then came the CD-ROM and “the business collapsed” says Jorge Cauz, the CEO of Encyclopedia. As PCs arrived, became more cheap and came in with built-in CD-ROMs, it became, as Cauz, describes, “a potential knock-out punch” for Britannica Encyclopedia. With the advent of CD-ROM, the printed versions were on the way-out. To meet the challenge, Britannica produced its own CD-ROM and priced it at $ 1200, same as the printed version. But, at the same time, Microsoft started giving its own Encyclopedia, Encarta, free of cost with its home PC, positioning it as a homework helper. And then came the Wikipedia, free online Encyclopedia which could be potentially a bigger knock-out punch for Britannica. Here is an important lesson for all leaders: customers are willing to pay for quality, even when a free lower quality alternative is available to them. As Britannica entered into online education market and came into contact with educators, Cauz and his team became aware of the unmet need in this sector, which helped Britannica to go beyond reference products to a much more lucrative business of developing learning system. Our growing K-12 customer base states Cauz “helped us by telling us what it needed: affordable lessons and learning material linked to the curriculum that could be used in classroom and in home.” Cauz and his team were well-poised to seize this opportunity. They had the brand which the educators recognised and the editorial expertise.